i want to get a jinn for helping me in some works only NOT FOR BAD THINGS. please send me Sahih Tareeqa for this step by step if you have any good idea about it. yesterday I have gone through your web site how to get rid of evil spell. 1. About my husband..He losses his job very often and lack of sucess in life and what ever work he starts is not successful. The health is messed up with so many complications and screams while he is fast a sleep. An this conditions are affecting me and my children. What you think about Hamzad do you have any amal for taskheer e hamzad? i believe that i may be affected by evil jinns (maybe affected as i dont know full symptoms). i want to know how do i get the evil jinns inside me killed. Please can u help me bro? i red ur article actually im in a trouble,, in a very big trouble... and i am a muslime girl,,, i jus wan to ask you... can you help me to getting out of the hell,, jus by letting me know which surah should i read to get rid of devils,, ... and kindly can you tell me little detail about you,, that how u know all that,, i mean are you alim?? im looking for ur reply ... and thank you so much for giving me ur time. Brother you have a very informative website and you are well knowledged in this field. I want to ask you something My father has two jinns in a manka and they are in rattle snake ends and he has a book but i dont know how i should go about destroying these jinns have been passed on from my dadhi grand mother that has passed away and now my dad has them. My dad doesnt use the book nor the jinns unless someone needs help but i had an hisab done and i have black magic on me and it was a family member so im afraid and i think it was my father to break my marriage but i need some one to tell me how to destroy the book without harming myself or anyone because it is powerful. Im interested in this field and would love to help people get these things of them but i would like to help them islamically and i want to learn hisab which i can do from m uncle and dad but i think they are wrong hope Allah can forgive them. 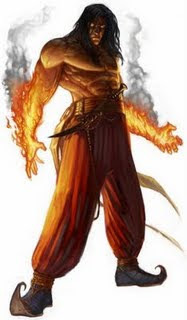 My boasts that he has a sardar jinn under his control Hanuman the indian god but he is in pakistan and he seems to me to be a good person he helps people to get rid of there problems but i dont want to learn the worng way. Do you know where i can start from and how can i go about the above. anything you can help me to crease my spiritual powers? NO BAD USE as I read ISLAMIC spiritualism. me he is alive then i thought coz i was traumatised i was just imagining. i am having joint pain in fingers , back pain ,my eyes is having blurred vison.